Health food blogger Ella Mills has opened a Deliciously Ella pop-up deli and garden in Broadgate, London. 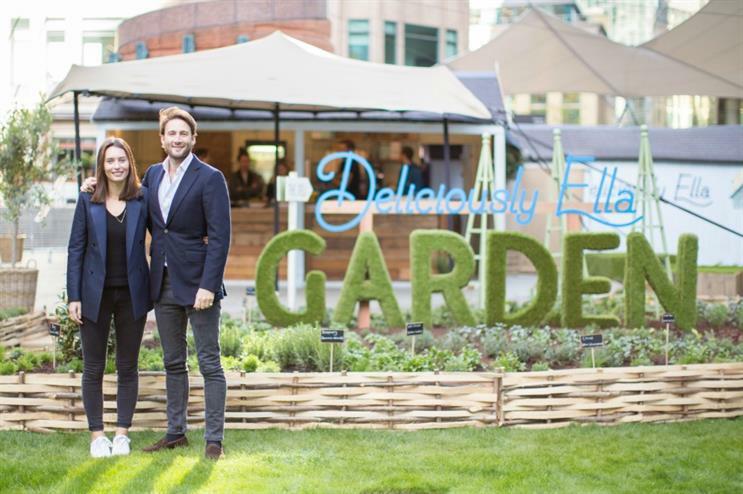 The clean eating guru Ella Mills, and her husband Matthew Mills, opened the Deliciously Ella Garden and Deli, located on Exchange Square near Liverpool Street Station on 10 April. The pop-up, which will be open until 4 June, serves salads, stews, smoothies and cakes. Visitors are also be able to pick their own seasonal produce, including fresh herbs, edible flowers and vegetables that reflect the Deliciously Ella food philosophy of ‘honest, simple and natural ingredients’. The pop-up, which comes with a seating area, has been designed by Garden Club London and aims to represent a picturesque British market garden. The space will also run one-off supper clubs and masterclasses, hosted by Ella Mills. Ella Mills, founder of Deliciously Ella says: "The deli in our garden will focus on delicious seasonal ingredients, bringing our love of fresh, natural produce to life. It’s the perfect extension of the Deliciously Ella family in a unique, urban landscape." The pop-up is one of three gardens to open in Broadgate as part of the Urban Eden project, which aims to promote greener spaces and their capabilities on boosting a sense of wellbeing. The second green space is the Japanese Bamboo Garden, which offers yoga classes and head and shoulder massages. The third space is the Tulip Patchwork Garden, which aims to provide a haven for visitors to wander and relax in. Last month HelloFresh opened a pop-up shop in London, organised by agency Hot Pickle. For your daily hit of news from the brand experience community, weekly brand updates or your monthly trend download, register and subscribe to Event and our bulletins.